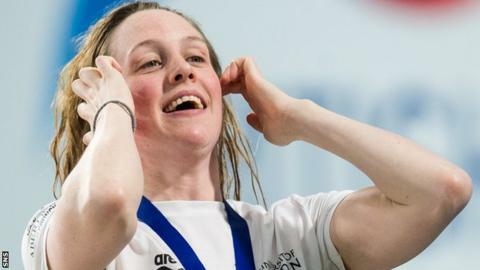 Hannah Miley hailed her performance as “amazing” despite finishing third in the 400m individual medley at the British Championships in Glasgow. Compatriot Ross Murdoch also took bronze as the Scots both missed out on the chance to qualify for this summer’s World Championships. “I’m not trying to aim for the worlds, because I know that’s one step too far for me this time,” she said. Aimee Willmott’s victory in four minutes 36.98 seconds should be enough for the Commonwealth champion to qualify. “I have only been able to kick and do proper training sessions since the end of January and even still I’ve had to build it up,” Miley said.